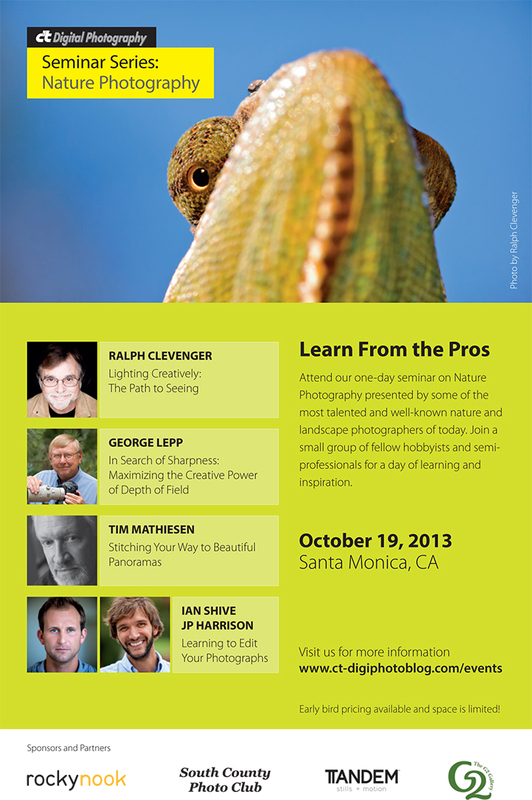 I will be one of the presenters at the c’t Digital Photography Seminar Series on October 19th in Santa Monica. My presentation will be “Lighting Creatively: The Path to Seeing”. If you register by October 7th, you will receive a special price of $139 (the regular price is $199). To receive this special pricing, please contact Devon Bell at 805–687-2208, and mention my name. I hope to see you there!